Government involvement in DNA technology and processes is generally met with mixed reviews. Supporters believe that we need regulation and structure to ensure this type of technology is not misused. Critics believe that government involvement can lead to a loss of personal freedom if it is too excessive. With laboratories cropping up everywhere to profit from the advancements in DNA technology and testing, the reliability of their results is vital to providing the public and legal system with accurate information. Testing can be used to profile evidence found at the scene of a crime and it can also be collected from suspects in a case and then compared to crime scene evidence. 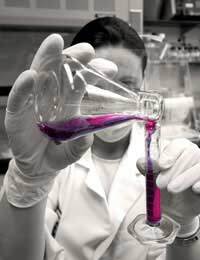 As such, it is mandatory that laboratory testing is reliable and provides a valid result. Unfortunately, this is not always the case. A number of highly publicised cases have brought to light questions about the integrity of laboratories. In one case involving an FBI laboratory, a technician did not use negative controls during the DNA analysis and she also modified laboratory papers to hide her mistake. A great deal of weighting is attached to DNA evidence, particularly in criminal cases. In this sense, laboratory regulation is important and necessary to ensure that innocent people are protected and that criminals are identified and sentenced appropriately. Currently, there is an important accreditation process for laboratories but suggestions for random checks and increased monitoring could help to improve reliability if they are consistently performed. In the United Kingdom (UK), a database is kept of DNA profiles from people who are thought to pose a risk to society. The criminal justice system uses this database – the largest such database in the world – to identify criminals and find links between evidence found at the scene of a crime and a perpetrator. There has, however, been criticism over the fact that many people in the database were never formally charged or for those who were, not all were found guilty or received jail time. This level of government regulation and interference is not acceptable to many people. However, others support this involvement and cite the need for even more involvement in DNA technology, particularly where it can potentially safeguard the public. The concerns around illegal timber trade have now prompted government involvement in the industry. DNA technology has provided a way to confirm the source of trees that are imported into the country. With this approach, a genetic profile is established from each kind of tree that is grown in a legal, approved area. Next, this profile is matched to trees that are brought to production mills, which should ideally provide a positive match. If that occurs, the tree is then approved for processing and shipped out of the country. The controversy over the government's involvement in DNA and related technologies will likely continue for many years to come, particularly as DNA technology becomes more advanced and mainstream. We need to continue expanding our awareness of government involvement to ensure that any interference is ethical and in the best interests of the public while also safeguarding privacy and freedom to a reasonable extent.